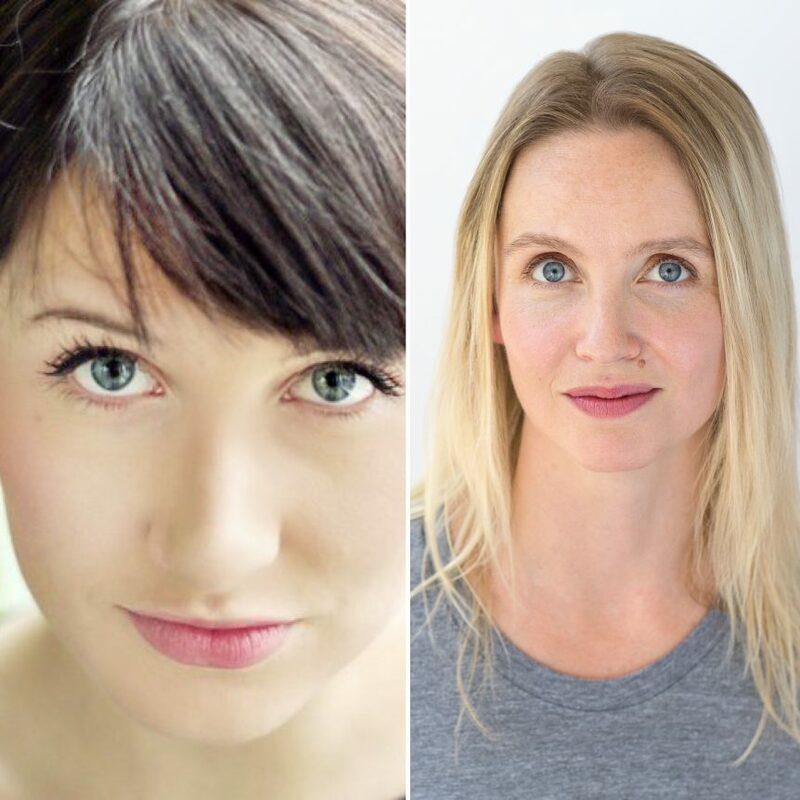 Azimuth Theatre Performance Lab Group is thrilled to partner with Rapid Fire Theatre for Making Connections with Amber Borotsik and Joleen Ballendine. A true collaboration and exploration of improvisation in all its forms. The most important and sometimes the most difficult thing for an improviser is to really connect with their partners, audience, or surroundings. Join Amber Borotsik and Joleen Ballendine as they explore tools you can use to help with a way of deeper listening – listening with our mind, heart and body for those connections. This class will be physical and will involve some simple and fun weight sharing exercises so please bring clothing you feel comfortable moving in. Joleen has been improvising since 2007, she is a senior cast member of Rapid Fire Theatre and runs the Education department severing as Director of Education. She improvises weekly at Theatre Sports, Maestro and performs with various long-form troupes, including Rå Power with comedy partner Amy Shostak, Dot Dot Dot with the incredible Jessie McPhee, and is one of the stars of Off Book the Improvised Musical, Rapid Fire’s hit shows. Teaching and performing have taken Joleen to some amazing places. She has been all over Canada, The United States and Europe performing, coaching and teaching improvisation. When Joleen is not improvising she can be found acting and writing. She just finished writing and starring in her second season of award-winning television show, Caution: May Contain Nuts, and began writing for the show How to Learn Anything coming out this later this year. Above all things, Joleen is most proud of her work with Rapid Fires’ Out-Reach Academy where she and her team use improv to empower high-risk youth. She truly believes in the philosophy of improv and the amazing effects it can have on peoples lives. Amber Borotsik is an Edmonton based creator and performer keenly interested in the intersection between theatre and contemporary dance practices. To date, Amber has created three full length works (Scythe, Backwater, The Moon at Midnight) and numerous shorter works (Here. Like this.) in collaboration with her husband Jesse Gervais. The Moon at Midnight premiered in Edmonton then toured to Winnipeg (Winnipeg’s Contemporary Dancers), Calgary (The Fluid Festival) and Regina (New Dance Horizons) as a part of the Prairie Dance Circuit. Amber has performed in both theatre and dance across Canada, the United States and in Japan; and has received three Sterling Awards (Outstanding Actress in a Leading Role – Little One, Choreography/Fight Direction and Independent Production – Scythe) and the TELUS Courage to Innovate award at the Mayor’s Evening for the Arts. Last fall she remixed choreography with Studio 303 in Montreal and Neighbourhood Dance Works in St. John’s Newfoundland as a part of the REMIX Exchange.